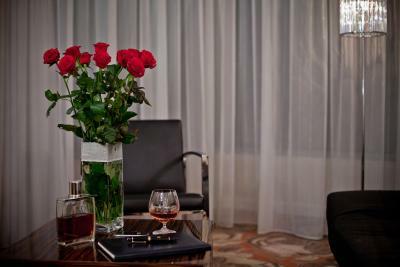 Lock in a great price for Hotel Rysy – rated 9.1 by recent guests! Beautiful hotel, a good mixture of granite and marble! Room and the toilets were perfect. Very good food. Anybody could select breakfast upon one's personal dietary needs. Excellent hotel.Maybe not exactly 5 stars but still excellent.The hotel staff is very helpful.The breakfast is very varied and served in a very pleasant atmosphere. The hotel is close to the center. The rooms are large, cozy, clean and spacious. We enjoyed And we recommend. The contemporary room, everything current and working well. Clean and comfortable. Great location in Zakopanie, terrific breakfast included with the room. Excellent location, tucked away from Main Street, excellent and very friendly staff. 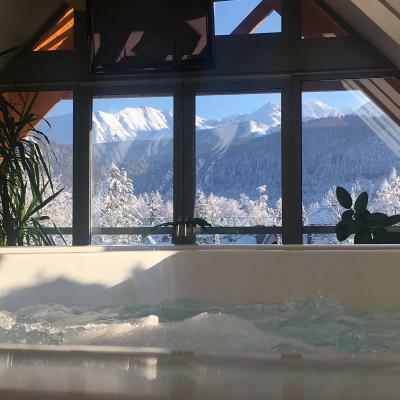 Best hotel in Zakopane! Very clean with all modern amenities. Staff is super accommodating and very helpful with any requests to either modify your stay or get the lift tickets, call the cab etc. Free breakfast with large buffet of delicious traditional and modern foods in addition to unlimited specialty coffees, omelettes and eggs etc. prepared to order. Perfect location that is close to all the attractions but still quiet and on top of that with a beautiful views of Giewont and other peaks from the rooms. Loved everything about our stay and plan to come back to Hotel Rysy when visiting Zakopane again. Very pleasant,helpful and informative staff. Location. Available parking. Breakfast! The hotel staff are Excellent, nothing is to much trouble. Hotel Rysy This rating is a reflection of how the property compares to the industry standard when it comes to price, facilities and services available. It's based on a self-evaluation by the property. Use this rating to help choose your stay! This 5-star hotel is located only 650 feet from Krupówki Street. 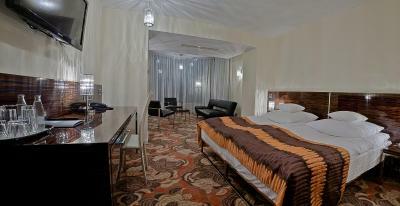 Its spacious rooms come with free Wi-Fi and digital TV. A varied buffet breakfast is served every morning at the hotel elegant restaurant with panoramic windows. Guests can have a drink at the bar. All rooms at the Hotel Rysy are modern and decorated with wooden furniture and sheep wool carpets. Each has a 37” LCD TV, a safety deposit box, a mini-bar and a modern bathroom with a rain shower and heated floors. Guests of the Rysy can benefit from massage treatments, a sauna and a hot tub. Front desk staff is available 24 hours a day. 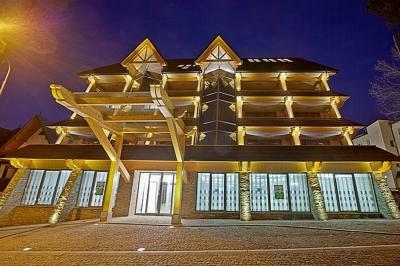 Hotel Rysy is located 1.9 mi from Kuźnice and Kasprowy Wierch Cable Railway. Wielka Krokiew Ski Jump is only one mile away. When would you like to stay at Hotel Rysy? 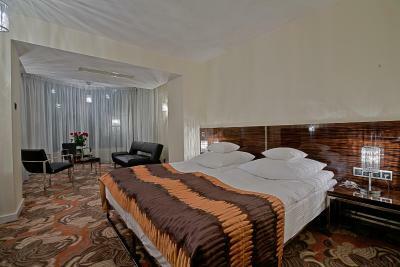 This air-conditioned room features a spacious terrace with a view of the Giewont, and a large LCD TV. There is a private bathroom with shower. The room has an electric kettle. 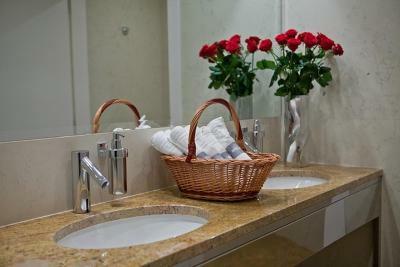 A spacious and air-conditioned room featuring a marble bathroom with a heated floor. Extras include a large flat-screen TV and a pull-out sofa. Two rooms with separate bathrooms that have a bathtub and a shower. 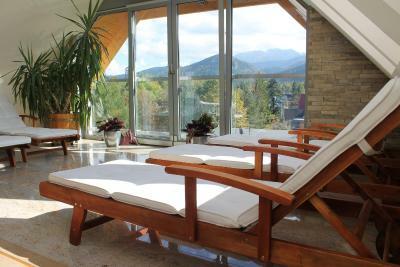 It offers a great view on Tatra mountains, and the legendary Giewont Mountain. It has two 3D technology TVs. 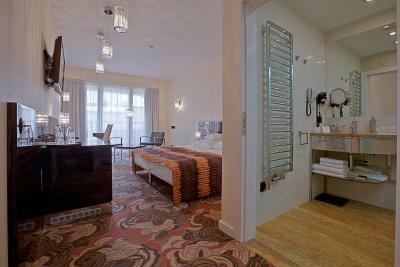 A spacious and air-conditioned room featuring a marble bathroom with a heated floor. Extras include a large flat-screen TV. A room with a view on Mount Giewont. Features a spacious terrace and an LCD TV. There is a bathroom with shower. A room with a balcony, a large flat-screen TV and a bathroom with a shower. House Rules Hotel Rysy takes special requests – add in the next step! Hotel Rysy accepts these cards and reserves the right to temporarily hold an amount prior to arrival. The matres was too soft. Each morning I woke up with a backache! I can't say a particular topic which I disliked. The location is excellent, staff are very polite and speak excellent English. The breakfasts and evening meal were fabulous. Thoroughly recommend Hotel Rysy. A little bit outdated hotel. Breakfast was amazing. The food was delicious especially the option with having the kitchen make fresh omelettes or crepes. Totally worth it! 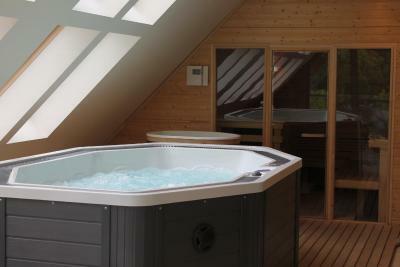 The sauna and jacuzzi on the 5th floor is very relaxing and romantic. Beautiful views of the sunset and the mountains. Nice option after a day of hiking morskie oko. Also the location was perfect. In a quiet neighborhood but only a few steps Away from the center. Would definitely recommend a stay here and will be returning when back in town. Coffee is very good. Location also. Very uncomfortable mattresses, not interested when this was mentioned to reception, would not make eye contact, makes me think they know and just ignore any complaints. One waitress on the second night we were there was quite rude and didn't seem very happy to assist us.